Students, parents, and the public will be invited to attend the day and evening performances. The 7pm performance is a free, ticketed event with General Admission seating. Students and families: Please contact your school's music department to reserve tickets. Select tickets are available through sign-up HERE. For all other ticket inquiries, please visit the Kimmel Center Box Office. (Processing fee applies). Philly's All-City Jazz Festival 2019, an all-day event at the Kimmel featuring student performances and Masterclasses led by POPS Musicians and artists featured in the 40th Anniversary Season. Students, parents, and the public will be invited to attend the day and evening performances. The 7pm performance is a free, ticketed event with General Admission seating. Students and families: Please contact your school's music department to reserve tickets. Select tickets are available through sign-up HERE. 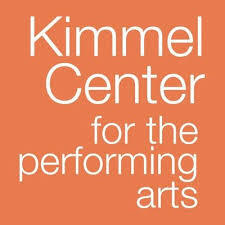 For all other ticket inquiries, please visit the Kimmel Center Box Office. (Processing fee applies). Since the mid-1990s, Stafford has performed with groups such as Benny Golson’s Sextet, McCoy Tyner’s Sextet, Kenny Barron Quintet, Frank Wess Quintet, Jimmy Heath Quintet and Big Band, Jon Faddis Jazz Orchestra, Carnegie Hall Jazz Band and Dizzy Gillespie All-Star Alumni Band. Stafford with the HamiltonClayton Jazz Orchestra, performed on Diana Krall’s Grammy-nominated From this Moment On (2006). John Clayton invited Stafford to perform with the Clayton Brothers Quintet and Clayton-Hamilton Jazz Orchestra. Stafford is a member of the Vanguard Jazz Orchestra and they were awarded a Grammy in 2009 for Best Large Ensemble, Live at the Village Vanguard. Stafford can be heard on over 130 albums. His latest recording This Side of Strayhorn has been hailed as “the first must have album of 2011” and “genius.” Stafford is the Director of Jazz Studies and Chair of Instrumental Studies at Temple University, founder and band leader of the Terell Stafford Quintet, and Managing and Artistic Director of the Jazz Orchestra of Philadelphia (JOP). Stafford is renowned in the jazz world as an educator, performer and leader and has received countless award nominations and accolades.